The milder days of spring are a perfect time to do a thorough spring cleaning and perform building maintenance. After a long winter, it is a good idea to spend time on preventive measures to help maintain your office and property throughout the year. 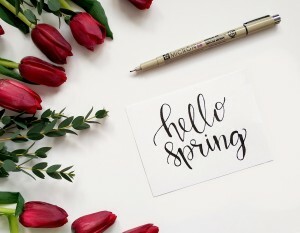 Tasks such as cleaning out your gutters, checking for dead trees and branches and cleaning and inspecting home mechanical systems, such as heating and air conditioning equipment, can make spring a season of safety. Cleaning and maintenance of your office should be done inside and out. Although the tasks are different, ensuring all the elements of your office are in good working order can help keep your employees safe and your maintenance expenses lower over the long run. Electrical Outlets and Cords: Check electrical outlets and cords throughout your office for any potential fire hazards such as frayed wires or loose-fitting plugs. Outlets, fuse boxes and extension cords also should be checked to make sure they are not overloaded. Fire Extinguishers: Check your fire extinguishers at least once yearly, including the hose, nozzle and other parts, to make sure they are in good condition and that the pressure gauge is in the “green” range. If necessary, move your fire extinguisher to an accessible place. Air Conditioning: Before turning it on for the season, have your air-conditioning system inspected and tuned up by a professional. Water Heater: Check for leaks and corrosion. Smoke Detectors: Daylight savings time is the perfect time to change the batteries in your smoke detectors. Inspect each smoke detector to ensure all are in working order, and make sure to test them monthly. Ideally, there should be at least one smoke detector on each floor of your office. Light Bulbs: Check each light bulb in every fixture for the correct recommended wattage and replace any burned out bulbs. Also, consider replacing all high-intensity bulbs with fluorescent or LED bulbs to reduce energy and the amount of heat produced. Roof: Check for any damage from snow or ice, including damage from ice dams, and make any necessary repairs to reduce the possibility of leaks. Gutters: Clean leaves and other debris from gutters and downspouts to keep water flowing and reduce the possibility of water damage. Trees: Visually inspect trees for damage or rot, and remove (either yourself or through a contractor) any dead trees that might blow over in heavy winds or during a storm. Keep healthy trees and bushes trimmed and away from utility wires. Walkways, Driveways and Parking Lots: Repair any cracks and broken or uneven surfaces to provide a safe, level walking area. A little office maintenance in the spring can go a long way to keeping your office safe and secure throughout the rest of the year.